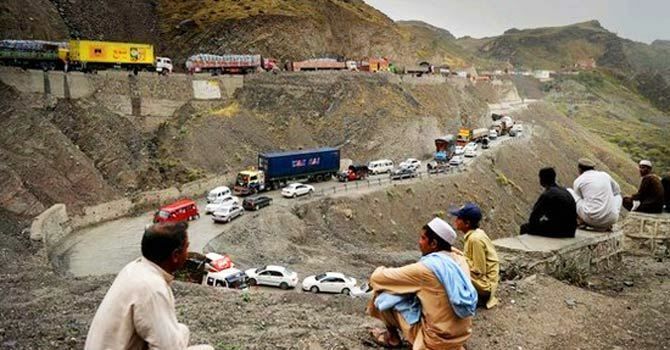 The Afghanistan-Pakistan border at Torkham was closed after Pakistani labourers returning from Afghanistan shut the border gate and lamented that they were tortured by Afghan authorities and company that hired them. 29 labourers, who had traveled to Afghanistan for work were not paid their wages by the company that hired them and even allegedly tore their passports apart. The labourers also alleged that they had also been locked up in Afghanistan’s Pul-i-Charkhi prison where they were tortured by jail authorities. Upon reaching the border Saturday, the labourers shut the gate which led to a halt in NATO supplies and other traffic. However, the Torkham gate was reopened after negotiations between Pakistani and Afghan authorities resulted in an assurance from Afghanistan that action would be taken against those responsible for torturing the labourers. Traffic and Nato supplies also resumed when the gate reopened after a closure lasting several hours. In the meanwhile, Pakistan Foreign Ministry officially lodged complain by summoning the Afghan Charge d’ Affaires in the Pakistan Foreign Office.